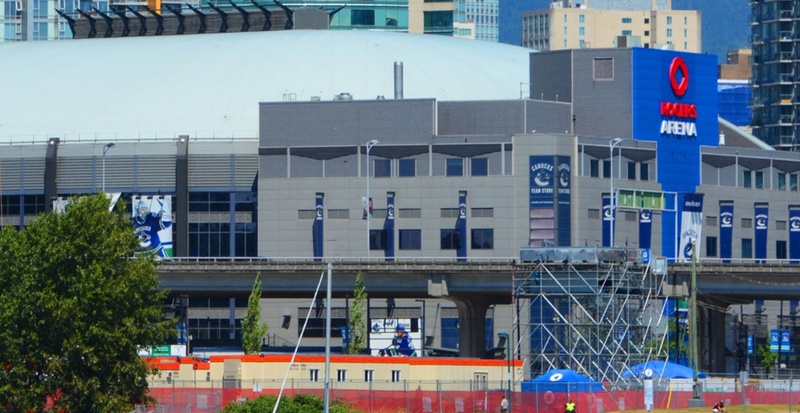 After BC Place recently announced that it was beefing up its security measures with hand-held medal detectors, a security firm has announced a new partnership with Rogers Arena to beta test the use of 3D imaging and AI to detect potential weapons threats. On Monday, Liberty Defense Holdings Inc. said it has signed a Memorandum of Understanding (MOU) with Vancouver Arena Limited Partnership to beta test HEXWAVE. The sensors with active 3D imaging and AI-enhanced automatic detection are designed to detect metallic and non-metallic firearms, knives, explosives and other threats. “The technology uses low power radio frequency signals to illuminate the detection space and capture information from the reflected signals to create real-time 3D images,” said Liberty Defense CEO Bill Riker. Liberty Defense said the proposed testing with Vancouver Arena Limited Partnership will occur at a site to be determined within or near Rogers Arena. The venue was chosen because it is “one of the premier sports and entertainment facilities in North America and has hosted over 25 million fans with a proud legacy of success,” the company said. “By providing a security solution that is modular, scalable and capable of providing layered detection of potential threats, we believe that we can make these spaces safer for customers and employees,” said Riker. Rogers Arena Director of Event Operations and Security Jim Day welcomed the partnership. Liberty said provides security solutions for concealed weapon detection in high volume foot traffic areas and has secured an exclusive license from MIT Lincoln Laboratory, as well as a technology transfer agreement, for patents related to active 3D imaging technology that are packaged into the HEXWAVE product.